David’s answer to my Map of Germany has just unwittingly (or wittingly) started a friendly, cross-Channel rivalry (Visio Guy is currently in Vienna) And the timing couldn’t be better: since England won’t be in Austria for the European Cup our Northern neighbors will have plenty of time to add features to their Visio maps. 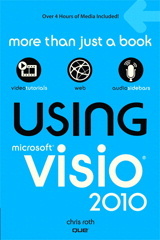 Hurray for the Visio Community! Anyway, David’s document contains not only geographical shapes, but also some very nice organizational and structural details of London boroughs, counties, unitary authorities, metropolitan districts, district county areas, unitary authorities, and council areas. To put it in American English: “It’s a ten-page extravaganza blowout!” He’s also linked the shapes to data, using the new Link Data to Shapes features in Visio 2007. Very nice indeed! Back to the smack-talk: in 2000, I created a silly .wav-file to mock the English before their match with Germany. This wasn’t entirely non-Visio-related, because it was intended to help defend a co-worker who was working at the UK Visio office, but was from Germany. …which effectively jinxed the Germans. In the 53rd minute, an excellent free-kick from David Beckham was headed into the goal by Alan Shearer to knock the Germans out, 1-0. Stand up if you love England! Where were you when we got knocked out of the European Championship??? ..and I’ve just added your blog to my blog (sorry, should have done it before!). Well, we actually flew to London on a plane full of Croatians the day before the match. We were at a birthday dinner near Earl’s Court, at a table with people of Bosnian, Serbian, and Croatian (and American) descent, who came from Australia, USA, and Austria, when the poor English bit it. I’m looking for a visio stencil with the flags of the world. And the flags need to be vector-based not pixel-based. Any ideas? Which I think is a bit absurd, since they used to be part of the product!. Stay tuned for new articles, maybe I can work something out.